Our aroma roasting process makes our coffee the richest and most flavorful beans you will ever brew. 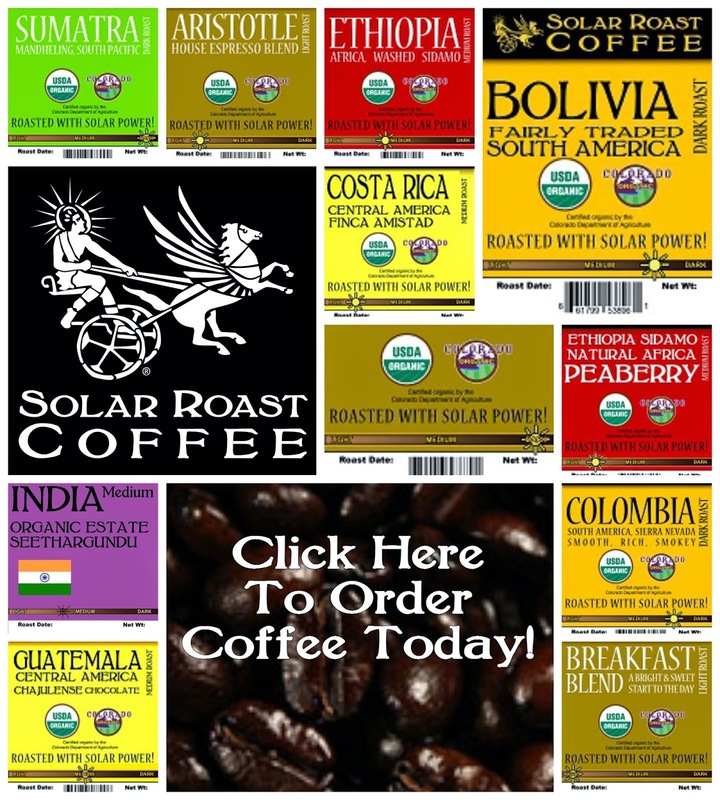 We have the world's only commercial, solar powered coffee roaster. Since we use solar power, our roasting process is a gentle heat resulting in a lower temperature roast. This gives our coffee a smooth taste.